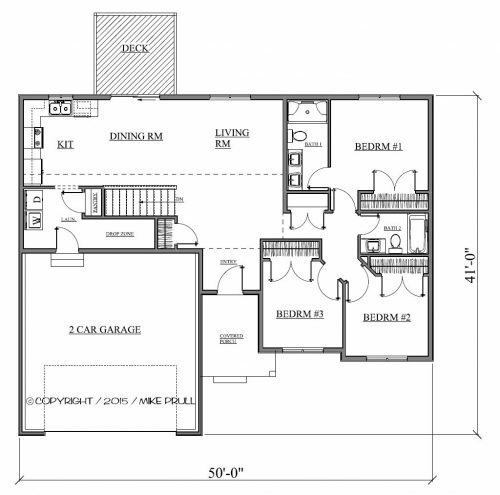 This custom home ranch design may be small but space is utilized to make to make it seem huge! This is a perfect starter home for a small family! The main floor master bedroom is located in the rear of the house and easily eliminates road noise, this bedroom includes a master bath and walk-in-closet that conveniently opens directly into the laundry room. The second bedroom is located in the front of the house and can easily be used for children or an office. The kitchen is wide open to the dining room and living room that have the popular cove ceiling. 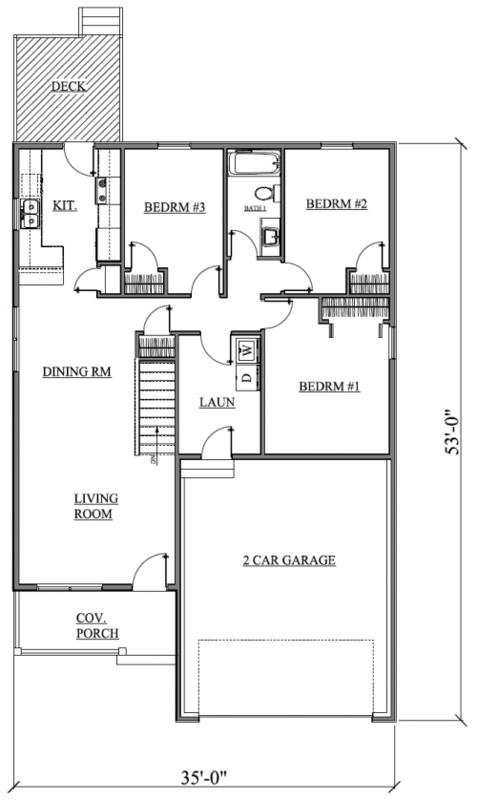 If extra bedrooms are what you need they can easily be placed in the basement. This quaint one story house is perfect for the first time home buyer or if you are wanting to downsize! This home will fit perfectly on a smaller lot size. This custom home maximizes your space without sacrificing the unique design. This house will seem comfortable and roomy with the wide open/eat in kitchen that opens to the great room with vaulted ceilings. Master bedroom is located in the rear of the house to reduce the road noise and is complete with master bathroom and master walk-in-closet. Two additional bedrooms located in the front of the house will act as nice children’s rooms or office space. 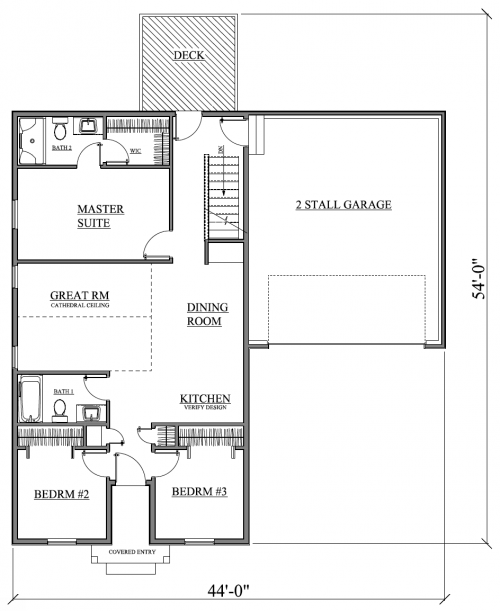 You will also have the convenience of a two stall attached garage. Small but spicy is the name of the game! Perfect new home for the single or the newly married! 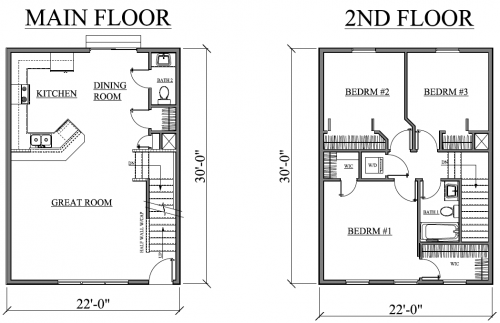 This pint size bundle encompasses 3 bedrooms, a full bath conveniently located near the bedrooms making night time bathroom calls a short trip! The kitchen is located in the rear of the house and has access to the deck for grilling or relaxing. The dining room and living room are free flowing to give the area an open, spacious look. Enjoy the convenience of a main floor laundry off the 2 stall garage. 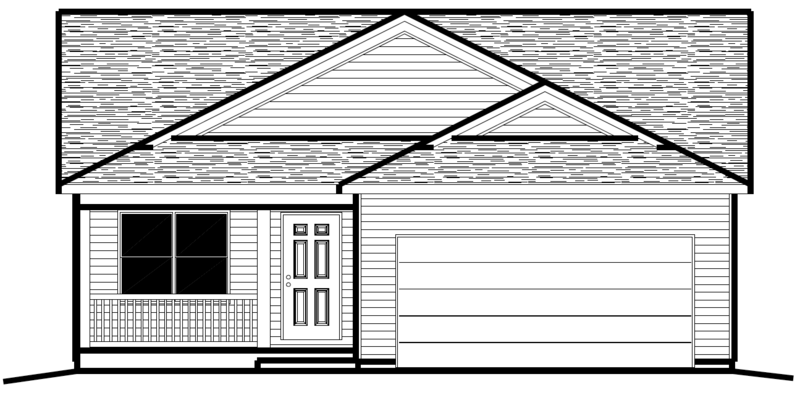 This quaint 3 bedroom custom ranch design is a great starter home! 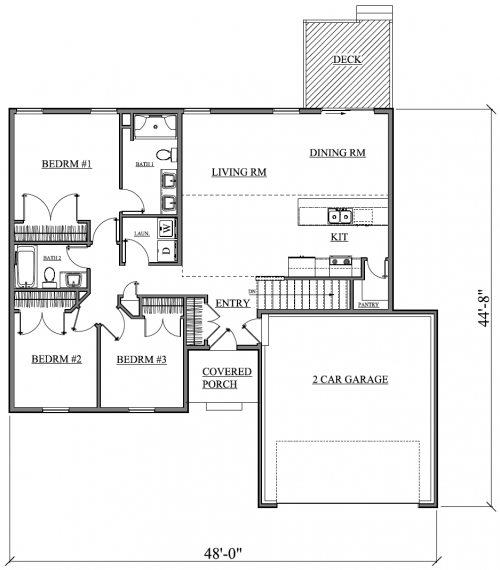 All needed amenities are included within this 1200 square feet! This design has an open style main living area. 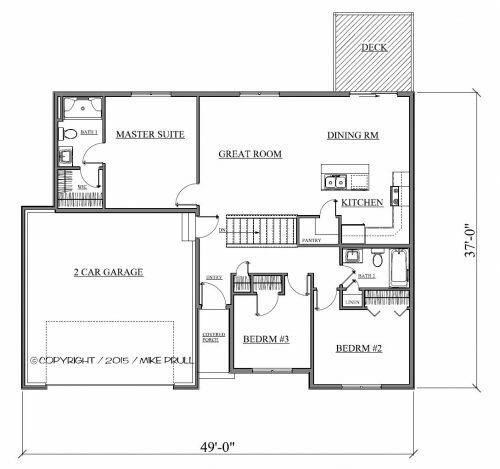 This plan also includes master suite with adjoining bathroom featuring double sinks and 2 additional bedrooms and another full bath. Off the kitchen area is a deck where you will be able to enjoy grilling dinner or just relaxing after a long day. Extra living area can be achieved by finishing off the basement! Another pint sized design by Prull Custom Designs. This ranch offers all of your necessities in a humble sized space. 3 bedrooms including a master bed, bath and closet, a wide open kitchen/dining and great room area with access to a deck and a 2 stall garage complete this dream home. Need a little extra space? Feel free to finish off the basement with an additional bedroom and/or living area. This pocket-sized ranch style home is an excellent design for the small family or for your second home. Encased in these walls are 3 bedrooms and 2 full baths, one of which is the master suite and bath. A main floor laundry is well placed in the vicinity of the three bedrooms making gathering laundry a piece of cake. With the kitchen/dining room and living room being all one room, the area seems cavernous and inviting! The attached 2 stall garage is great for extra storage or feel free to finish off the basement to give you that extra needed space. 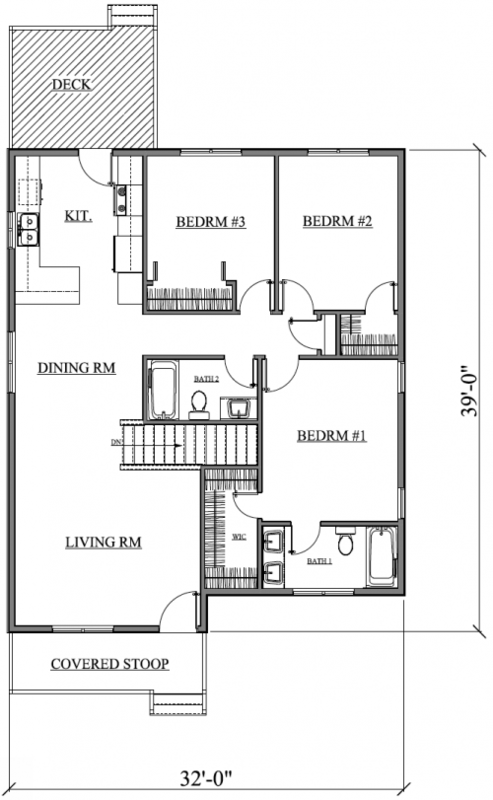 This 3 bedroom humble size plan is great starter home. This ranch design offers everything you need but doesn’t break the bank. 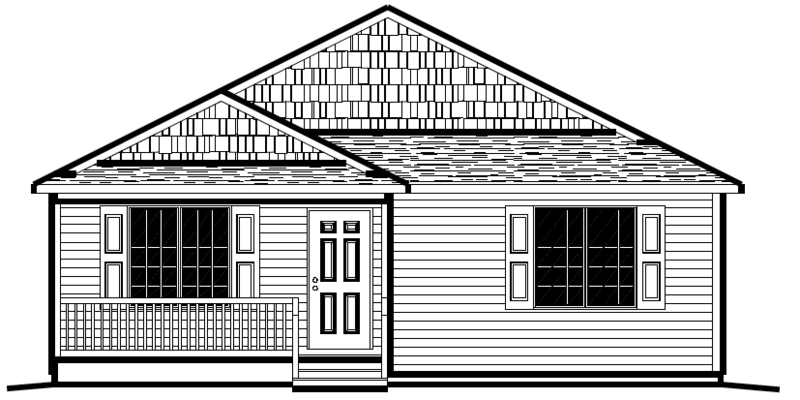 To complete this pint sized home is a master bedroom and bath, 2 additional bedrooms and full bath. 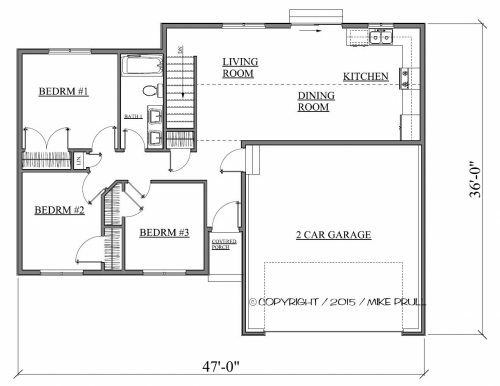 An open area kitchen/dining room and living room makes this plan seem larger and enjoy a main floor laundry off the 2 stall garage. 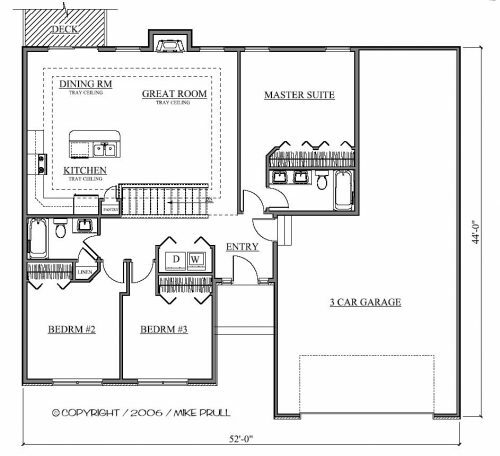 If additional space is needed, a finished basement will offer more living space. 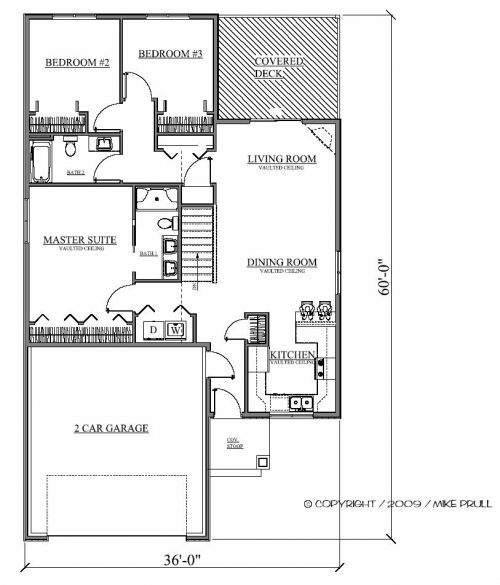 This petite sized 2 story design is great for smaller lot! 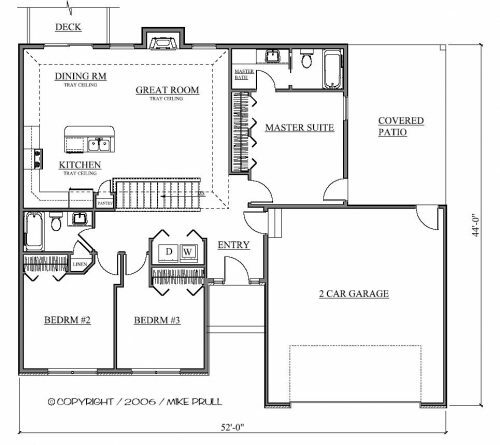 The main floor features a full kitchen, dining room and great room; all wide open making the petite plan seem grand! Off the kitchen is a half bath and a large pantry. 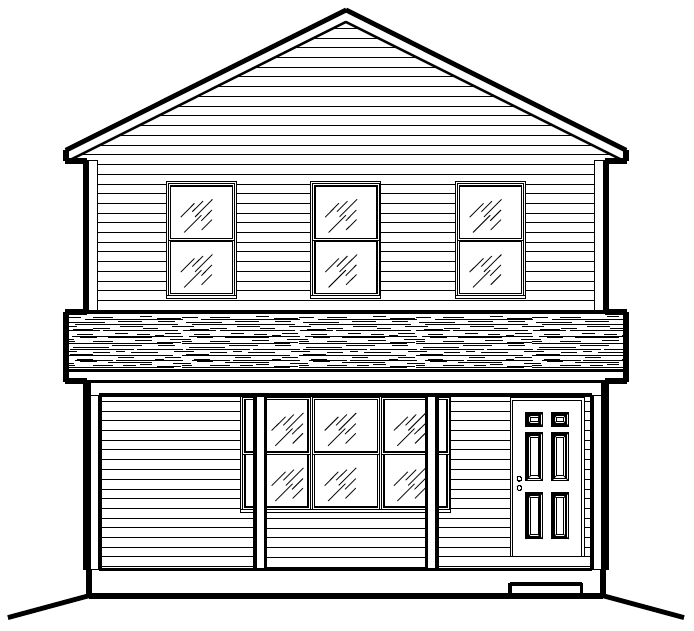 The second floor is the home of 3 bedrooms, a full bath, ample closet space and an area for stackable washer/dryer ensemble! This is a great plan for a small family, first time home buyer or a second home!